The kitchen gods clearly aligned one day in 2016 when Paola and I both sat next to each other in the staff room. We were both relief teaching and bonded over our love of food and my ardent desire to make Tiramisu. I haven’t seen Paola since so I never got to thank her for sending through such a delicious recipe so let’s just agree that this post is a virtual thank you! It turns out that I’m pretty good at sitting on my laurels because not only has Paola’s recipe been sitting in my inbox since 2016, Tiramisu has been on my list of 101 Things to Do in 1001 Days since 2017 and it’s been top of my too-hard basket for what seems like forever. I thought of Paola and her recipe in my recent review of my 101 Things in 1001 Days list, and decided it was time to eat that frog, face my fears and make that tiramisu. 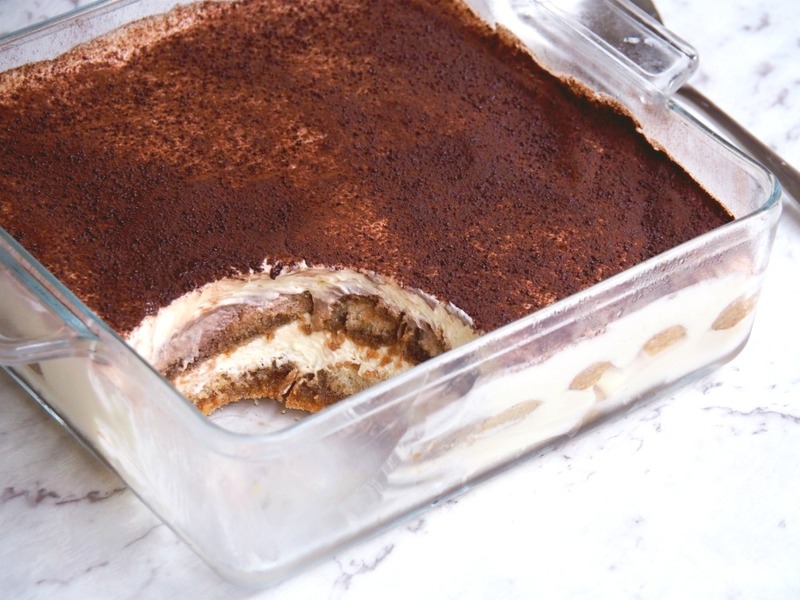 Paola told me that Tiramisu means “pick me up” and one thing is for sure this recipe did just that! David is especially pleased about this situation because Tiramisu is his all-time favourite dessert, he just can’t say no to it. As discerning as David’s tastebuds are, I decided that as the recipe was shared with me by an Italian, I should get the end result taste tested by an Italian and my neighbour Luce was happy to oblige. 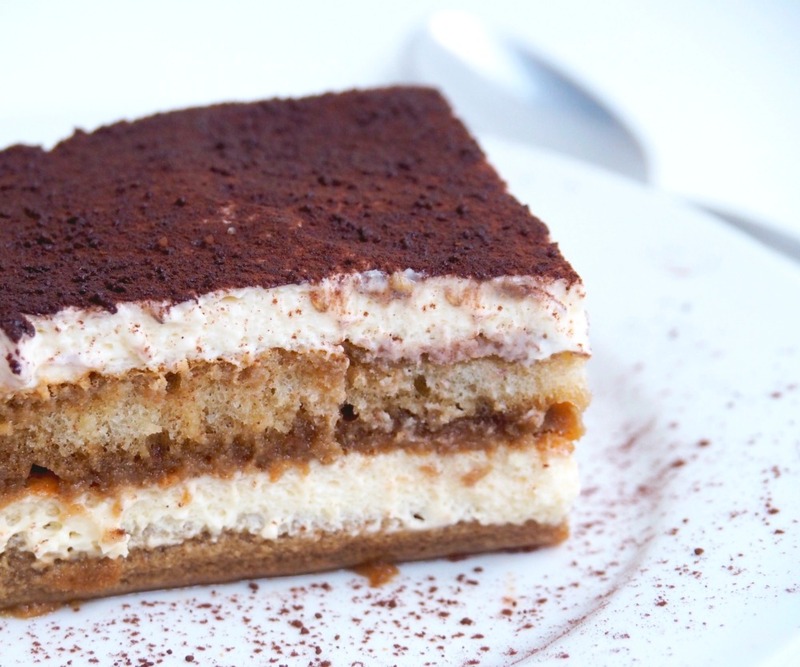 Luce loved it and said it was the loveliest, lightest Tiramisu she had ever tasted. High praise indeed! 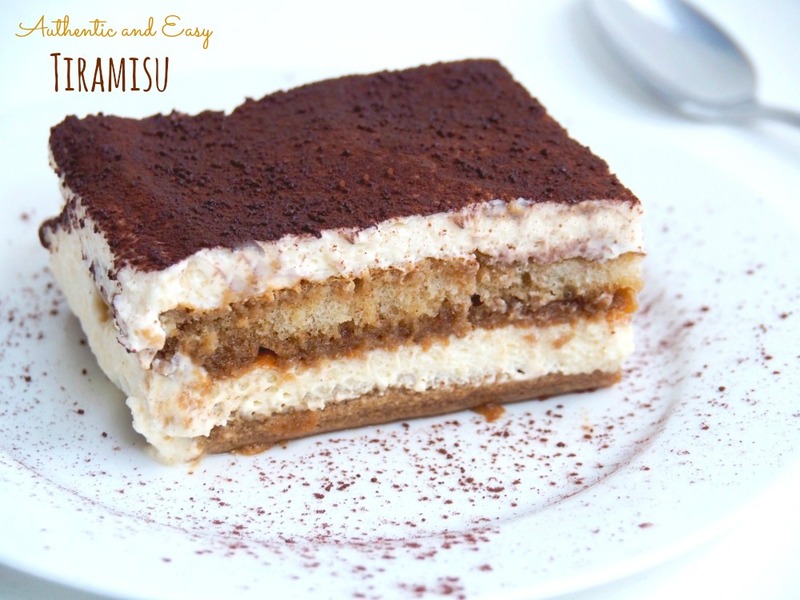 Now I’m not usually a fan of tiramisu, it’s probably the last thing I’d choose on a dessert menu but I have to say I am totally in love with this dessert. 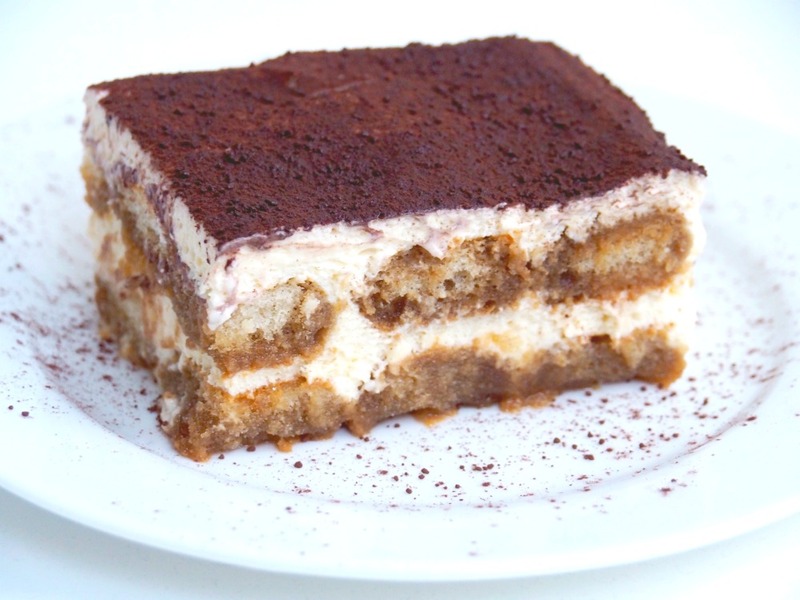 That’s the funny thing about this Tiramisu, I spent all those years not making it and now I’ve tried it, I just can’t stop! 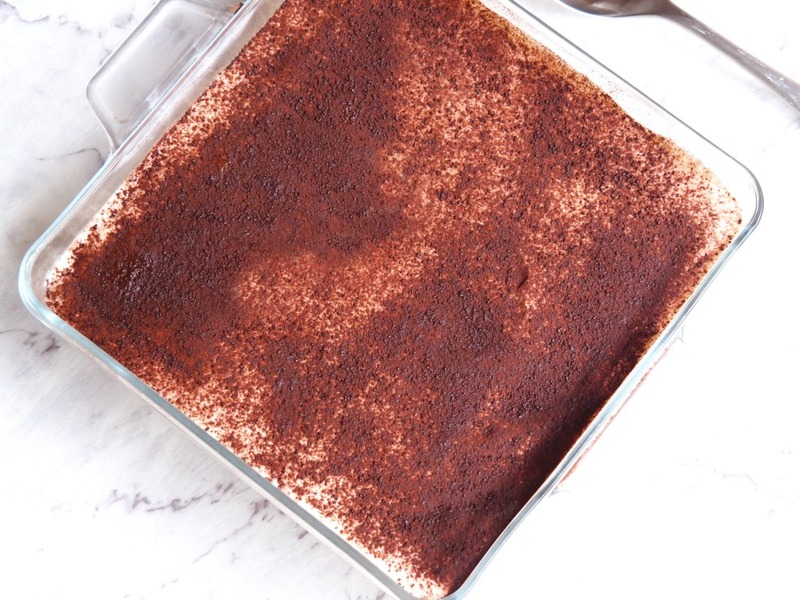 This recipe is so easy that I’m totally kicking myself that I haven’t made it before… Think of all the Tiramisu I have been missing out on! Of course, I went one step further and converted Paola’s recipe to the Thermomix because it’s a great substitute if like me, you don’t have a stand mixer and/or are too lazy to use a hand held mixer. What recipes would be on your list of 101 things to do in 1001 days? Do you have a reader recipe you’d like to share? Separate the eggs, placing the yolks in a large bowl and the whites in another. Add to the yolks the sugar, beating until the mixture is pale and thick. Add the mascarpone cream and fold in gently until you have a nicely folded cream. In a clean, dry bowl, beat the egg whites until they are fluffy and you have stiff peaks. Fold 1/3 of the egg whites into the egg yolk mixture. Add the rest of the egg whites, 1/3 at a time and fold until just combined. Brew the coffee and place in a shallow dish and add the liqueur. Working quickly, dip enough biscuits in the coffee to cover the base of the dish. Place half the mascarpone cream on top of the biscuit layer. Repeat, making another layer of dipped biscuits and topping with the remaining mascarpone mixture. Cover with plastic wrap and refrigerate for at least 6 hours, preferably overnight. Dust generously with cocoa before serving. Separate the eggs. Place the egg yolks and sugar in TM bowl and set the egg whites aside. Mix the egg yolks and sugar for 3 minutes on speed 4 until the mixture is pale and thick. Add the mascarpone cream and mix for 30 seconds on speed 4. Set the mixture aside and wash and dry the bowl. Add the egg whites to the clean, dry TM bowl and insert the butterfly. Beat for 2-3 minutes on speed 4 until the egg whites are fluffy and you have stiff peaks. Brew the coffee and place in a shallow dish. Add the liqueur. Cover with plastic wrap and refrigerate for at least 2 hours, preferably overnight.